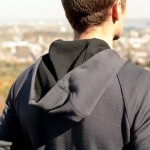 We’re liking this Outlier Classic Merino Hoodie. It’s not only a simple, great looking hoodie, but as always Outlier has put a ton of effort into making this a well-designed piece of performance clothing. It’s made in New York City and uses a grade of superfine New Zealand Merino usually reserved for next-to-skin garments. This will serve as perfect go-to attire that can be worn in nearly any situation. 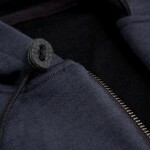 The hoodie comes in Black, Mid-Gray, Charcoal Gray and Bravest Blue and is available online at Outlier.